Popping in quick today, because I had a million and one questions (ok 12, but that’s still a lot!) about how I hung my wreaths up on my post last week. So, I thought I would show you all rather than try to answer emails (yes I’m showing you all my laziness! 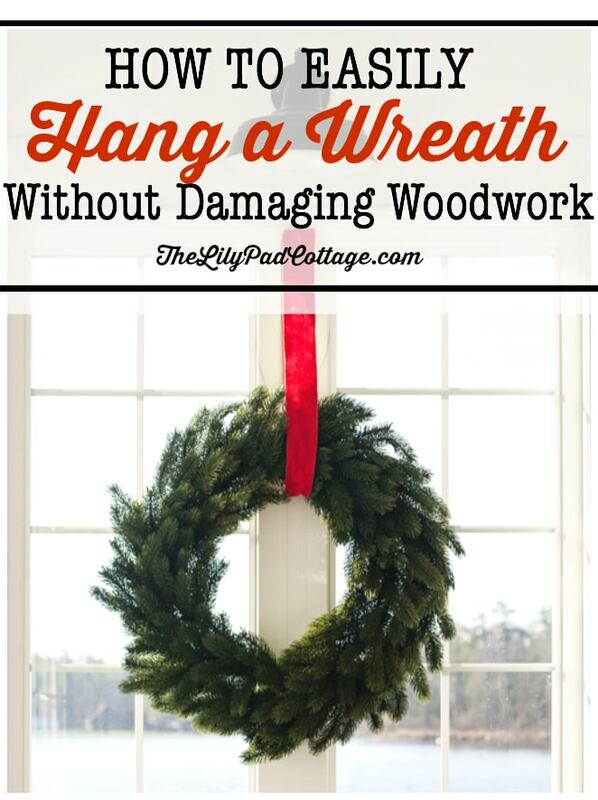 ), so here is how to hang a wreath without damaging woodwork. It’s totally simple too, you just need a spool of floral wire. 1. Loop the wire through the wreath. 2. 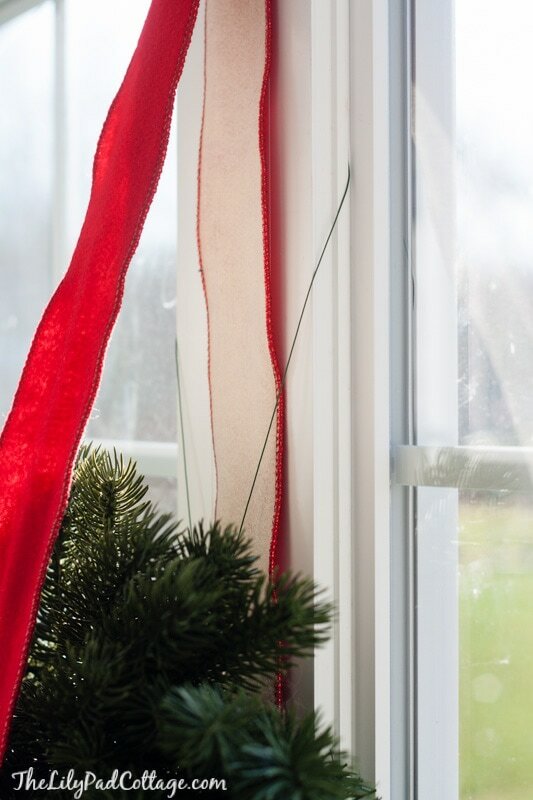 Open your windows and put the wire through and over the top of the windows, tie it in a knot, close your windows. Done! See the ribbon isn’t actually holding anything up! Then I just stapled my ribbon together and used tape to stick it up there. You don’t even notice the wires. Ah dang it! 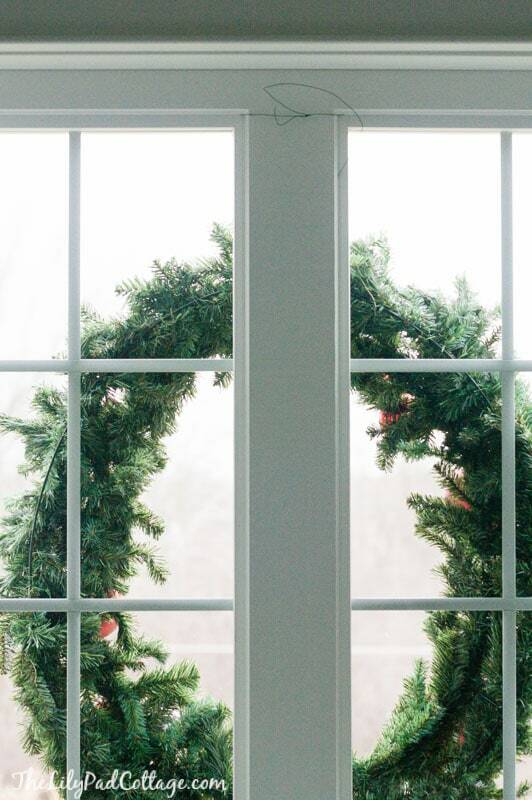 The windows I was thinking of hanging wreaths don’t open. Looks like I need to change my plans. Thanks for sharing this though! You are so funny, but thanks for the idea and not using Command because out here in the plains they work only part time even though you prepare the surface properly. The wind coming off the plains does a number on the things hung outside. We have that issue with the wind coming off the lake, it can be brutal! That’s a great idea. 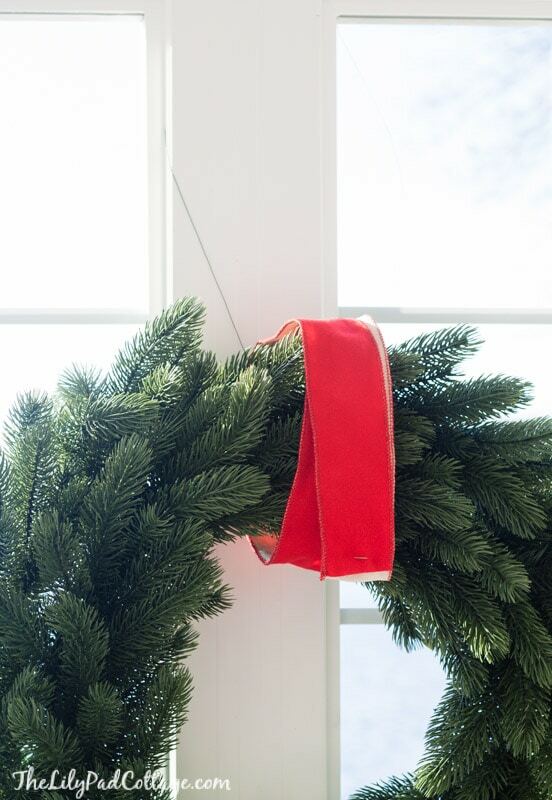 I hang my wreaths on the outside using clear fishing line that I tie around. 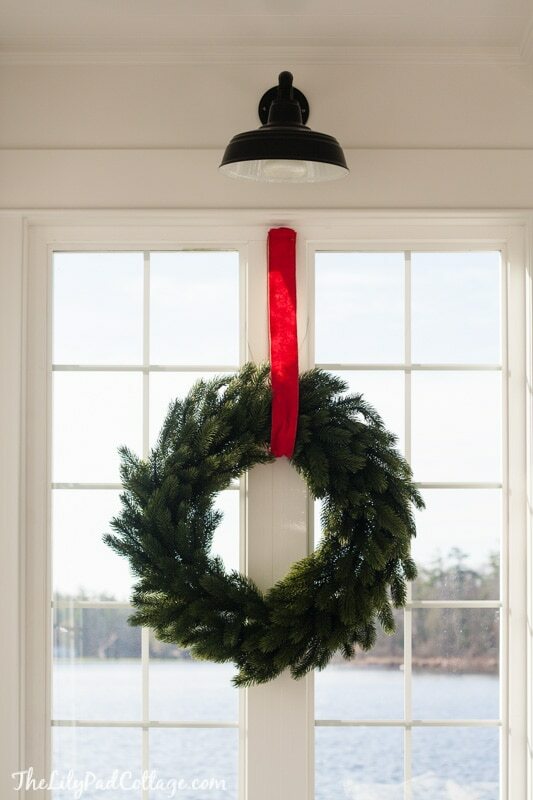 In order to keep them from falling I use a popsicle stick to hold the line inside when I close the window, I hope this makes sense :-) I live in NH and the winters are windy and the wreaths have never fallen down the fishing line is so strong. oh that’s a good tip too, thanks! Brilliant and thanks,have a great day. I’m a wing it kind of gal too so that is how I’ll hang wreaths in our upstairs gallery. Love the wreaths. Thanks for the tips.